Anyone who comes along on my tours and programs and hears me say "I heard a story once..." or "people say..." or "according to legend..." should know that I'm going to tell a story/rumour/fact that I've heard (often many times and from many people) but which can not be proven or disproven. When, as a historian, you hear a juicy piece of information, do you use it? 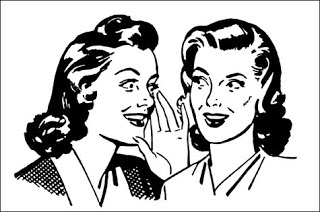 Even if you present both sides of the story (as best you can), people will likely only remember that one piece of "gossip" that adds the spice to the story. People who collect oral history have the same concern. People's memories are not always accurate and you can not rely on oral history to provide correct dates and even correct names. But they are wonderful for providing "atmosphere" and helping develop a sense of being in that time and place. The Peel Collection has some wonderful folk history on-line. But, of course, the stories related to Lethbridge are usually written by "Anonymous" and many of the facts can't be verified. But there's a lot of info there I would love to use for the 1906-1913 exhibit. And there's a lot of interesting stories about famous southern Alberta people. Greg, our Archivist, has been in email contact with a retired academic living in Maine who believes she can prove that one of our local citizens was the author of an anonymous autobiography called "Madeleine" (written in 1919) which purports to tell the story of a madam working in southern Alberta in the early 20th century. Oral history in Lethbridge has claimed for years that this woman was a madam before her marriage. Can it finally be proved? And, of course, I constantly get told a lot of great stories but only if I promise to never say who told me the story. Should I use the stories or not...? You'll have to find out for yourself whether or not I share the stories. Daytime cemetery tours start in May (or contact us and book for a group). Purchase tickets in advance or buy them at the gate. Just $4/person.